Eclipse is Templar’s ability that belongs to Dawn’s Wrath school. It is a buff that protects the target from negative magic. Templar blesses the target and protects it from any negative single target spells. Each spell will be mirrored back and attack the caster. It is a very effective ability that can help you protect yourself or your group. Though the spell has no cooldown, each extra cast costs additional Magicka for a short time. Eclipse will be very beneficial against any player. 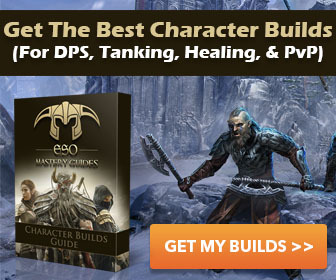 Every class skill in Elder Scrolls Online belongs to magic attack and consumes Magicka energy. That means the spell can help you a lot. Though the duration is not so long, the attacker receives back all his spell damage. The spell can be very helpful in PvP to stimulate your opponent to change his strategy. For example you are in 1 vs. 1 battle and you cast Eclipse. Your opponent hits you with a single target spell and understands that he receives damage from his own attacks. The only way for him to succeed is to use other strategy. Your opponent will have to use AoE spells instead of single target magic. Most AoE spells consume more Magicka and deal less damage to the only target. That’s why to use AoE spells in 1 vs. 1 combat is not the best way to win. Eclipse reflects all single target spells and your opponent has to use AoE spells or has to switch from magical attacks to weapon skills. What if your opponent does not have any weapon skills on his hotbar? You are in a very good shape then. In many situations your enemy will suffer from his spells and will strike himself with magic before he understands that you can reflect damage. In massive combat when many players are surrounding you it is difficult to understand that someone reflects your spells. That’s why Eclipse can confuse player and he will not stop his magical attacks. The only minus of Eclipse is that you will have to pay additional Magicka energy to cast it again and again. Every player who wants to use this ability should know this fact and should manage his Magicka carefully. Don’t forget that Eclipse does not give you full protection and you need Magicka to attack the target directly.